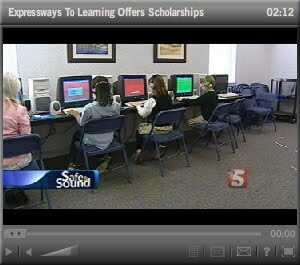 HENDERSONVILLE, Tenn. - Owners of Expressways To Learning® Tennessee are refusing to let money and tough times get in the way of their students education. Education can be intimidating for many students, and Charlene Brumbelow has the job to eliminate their fear. "It gives them a lot of confidence, and they're more excited about school where as they didn't even like school before. Now they do, they love it," says Brumbelow. The program is called Expressways To Learning® and rather than helping students with homework, Brumbelow leads drills designed to retrain the brain. Tristan Estes' parents enrolled the 7-year-old so he could overcome obstacles created by delayed fine motor skills. "He loves it. He says this is the best part of his day," says parent Darlene Estes-DelRe. "With the given motivation and the desire I think that we're on the right track." An Expressway To Learning® Tennessee owner, Lucy Karen Clay, says rather than turning children away, the company came up with an idea to sponsor the students. "Everybody wins - you know they get to see a child from A to Z. They get to sponsor a living person that maybe lives 10 minutes from them," says Clay. Individuals, businesses, and churches can sponsor a child. Brumbelow says she is confident the children who benefit will eventually return the favor. "We need to prepare them because they can contribute financially eventually, and they won't be left in the system having other people support them," says Brumbelow. Owners of Expressways To Learning® are also treating families on an individual basis. No child has had to leave the program based on cost. PO Box 150752 Nashville, TN, 37215.